The functionality will be available by June 2019. Why offset our carbon footprint? Sometimes air travel is the quickest and more affordable way to reach our destination, but it emits more carbon than any other human activity and creates a warming effect that contributes to climate change. If you love to travel by air or by rail or road, and also want to reduce the negative impact travelling can have on our fragile environment, buying carbon offsets is the best way to reduce or neutralize your carbon footprint. It won’t stop global warming, but it makes each trip you take an opportunity to reduce your impact on the planet and positively contribute to the communities and environments in the destinations you visit. Carbon offsets are also financial tools and they help businesses cross economic hurdles and create resources for projects. It helps first nation economies transfer from diesel to biofuels or solar, saves forests and protect wildlife, improve livelihoods and so much more. The earth, our home, belongs to all of us. We all need clean air and water, and a livable climate to thrive. We are totally connected to the natural world and our highest responsibility must be to take care of the systems that take care of us. We must protect it for us and for future generations. Every activity that uses energy from fossil fuels such as gas, oil and coal creates CO2, the greenhouse gas which many scientists believe is making the earth too warm and causing our climate to change. Our carbon footprint is the total amount of CO2 we create in our lives, whether that’s from the fuel we put in our car, the oil, gas or coal we use for cooking and keeping our homes warm or cool, or the buses, trains and planes we take to travel. A big carbon footprint is bad for our planet, and air travel accounts for a significant portion of many people’s annual carbon footprint. One round-trip flight from Europe to Bangkok creates a warming effect equivalent to around 5 tonnes of CO2 per person. To put that into perspective, the average carbon footprint of a European who does not travel by air is slightly over 7 tonnes of CO2 per year. According to South Pole, the travel industry as a whole is the 5th largest contributor of CO2 emissions after China, USA, the EU and India. Carbon Footprint Calculator and Carbon Offset Webshop is powered by South Pole. Your information is processed using the latest security technologies and will not be transferred to third parties. Around 80% of the money you invest in carbon offsetting goes to the project you choose to support, while the remainder is used by South Pole to cover development, monitoring, credit issuance and administrative costs. NOW’s 2% share is donated to EarthCheck Research projects that positively impacts the tourism industry. Thank you for reducing your negative impact on our planet and positively contributing to communities and environments. Inspire others to do the same! Avoid flying whenever you can. Fly shorter distances. Fly economy class, each flyer’s share of a flight’s carbon emissions is less because it’s spread out over more people. Don’t fly on private jets. Don’t be a space tourist. Virtually any other means of transport is more sustainable – especially shared and public transportation. Choose to stay in an accommodation with a sustainability programme and certification. Choose properties that uses solar/renewable energy (cuts down on fossil fuels) and participate in a Carbon Offsetting Programme. Eat at hotels / farms / restaurants that serve local produce (the fewer food miles, the better) – even better choose places that grow their own produce. Consider adopting a plant-based diet – animals (especially cows) are known to produce high levels of methane and greenhouse gases, and are often transported far. Choose to decrease the methane and food miles by going easy on the meat. At home, there are lots of opportunities to reduce travel carbon by carpooling, biking, walking, shopping online, telecommuting or using other transit options. South Pole is a leading global sustainability solutions provider and developer of emission reduction projects, with over 250 experts in 15 countries across the globe. 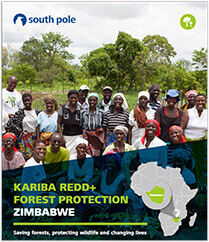 Initially founded as a developer of climate protection projects, with over 500 projects developed world wide, South Pole is now offering a broad set of solutions encompassing GHG accounting, corporate sustainability strategy advisory in alignment with the Paris Agreement, renewable energy solutions as well as carbon offsetting services for companies and individuals. 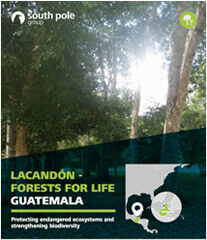 Forests for Life, a REDD+ (Reducing Emissions from Deforestation and Forest Degradation) pilot project in Guatemala that reduces deforestation in the National Park, while conserving biodiversity and strengthening 10 local communities within the boundaries of the national park. 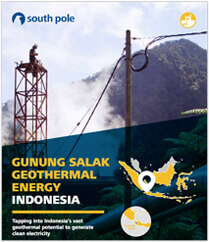 Utilising volcanoes to generate clean geothermal electricity in Indonesia. 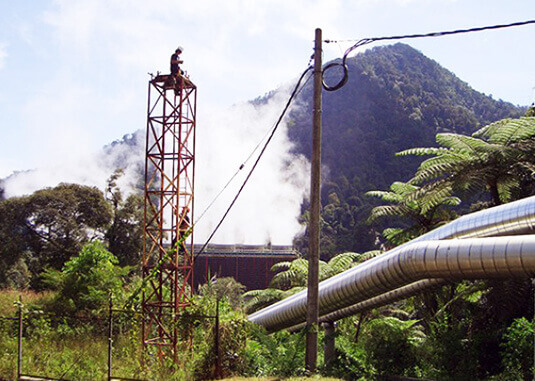 This project upgrades the capacity of an existing geothermal plant, significantly increasing its efficiency. The power plant, the first of its kind in Indonesia, now generates even more clean, renewable energy, while improving the livelihoods of surrounding local communities. 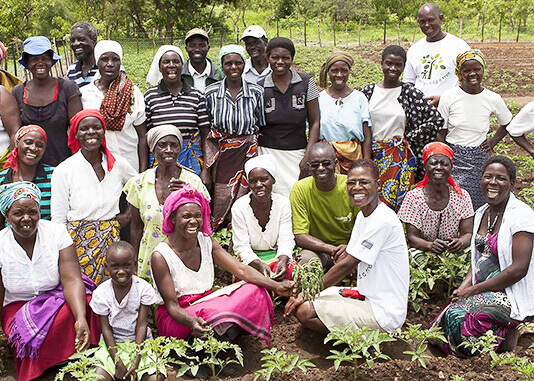 A REDD+ (Reducing Emissions from Deforestation and Forest Degradation) pilot project in Zimbabwe. The Kariba project ensures that 784,987 hectares of forest and wildlife on the southern shores of Zimbabwe’s Lake Kariba are now protected. 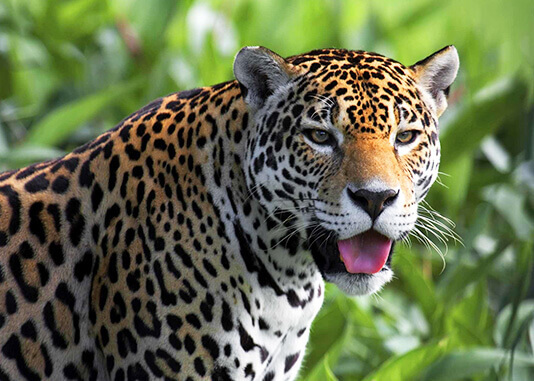 By connecting these four national parks and eight safari reserves, this project area forms a giant biodiversity corridor, ensuring the protection of an expansive rainforest and numerous vulnerable and endangered species.